Is an artist as good as their tools? The Phoenix real estate market has never been as hot as it is right now, so be successful in Phoenix Real Estate investing you need to know the best tricks and tools of the trade. That means knowing where to get the important information. 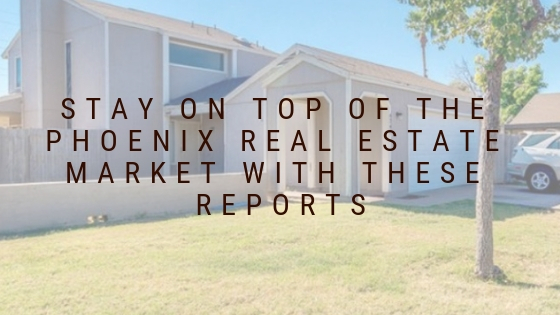 We pulled together the best reports, apps, podcasts and resources the Phoenix real estate investing market has to offer. These must-have resources are vital for house flippers and Phoenix real estate investors. A real estate investor is only as good as their market. That’s why any successful real estate investors will have these reporting tools. Stay on top of the ever-changing Phoenix Real Estate market with these trusted reporting tools. These reports help you make the most out of your investments by predicting where the market is headed. Giving you enough time to list, sell or buy more properties that will be in demand! The Cromford report is THE real estate market recap headquarters. One of the most accurate real estate forecast tools, it gives you daily updates, year to year performances, rising trends, and current events. If you aren’t using this Phoenix Real estate reporting tool you are being left in the dark. It’s worth every penny to know where the market is headed and where the best deals are happening. All real estate professionals seem to have a love-hate relationship with Zillow. However, it’s easy to access and use, making it one of the best real estate apps. You can get up to date reports, photos listing and more. We love their feature that allows you to see home sale costs, and their app has lots of useable functions making it one of the best tools on the list. If you are researching home values, neighborhood comps, and listings, Zillow is the tool to use. Zillow offers additional apps like Zillow Rentals, Zillow Mortgage Calculator and Zillow Digs Interior Design, all of which are great apps for house flipping as well! Although this site is not as popular as Zillow, it’s reporting is a free and great feature that makes it a must-have. Reports are simple to see, use and export and great for seeing listing activities, prices, and rents. Phoenix real estate investors love the options to see the number of units and average listing prices for rentals which are always a popular topic. If you want to gain true financial freedom, you need to know where you stand with your expenses. Tracking and detailing your real estate projects can be time-consuming when you’re investing in Phoenix Real estate. Thankfully these apps make tracking and updating your budget easy! Get control of your finances with these Phoenix Real Estate tools. If you are new to setting a flipping budget and tracking them, Budget boss was made for you! 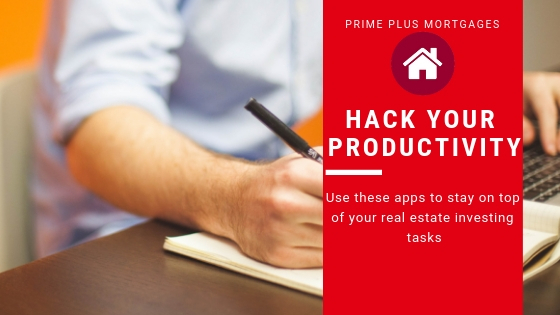 Not only will this app help you set budgets, and stick to them, but it will also learn your real estate funding habits. You can also predict how your current spending will affect your accounts, so will motivate you to stick to it.This is an amazing app for first-time investors in the Phoenix real estate market. Do you need help with your real estate investing budget? Or maybe you want your own personal accountant to keep you on track for your next flip? Yodlee makes staying on top of your budget easy. Aside from its easy software, it gives you tons of tools to track your expenses and help keep you focused on your budget. Yodlee is a great way to stay take notes of where your money is going, so you can improve your spending over time. You can set alerts in the app, so it will let you know if there is any suspicious activity, and protect you from fraud. Yodlee also has a great feature to help you start saving for your next Phoenix real estate investment. Want to get in the habit of making expense reports? This app makes reporting easy, which is great for Phoenix real estate investors. You can easily track your projects, and see where you are spending money. This huge time saver even lets you take photos of receipts and uploads the info into the app for you. Saving you huge time and less number crunching for you. You can even record times for projects to be completed, and track your distances traveled. These features are amazing for the Investors who run their own business, as it makes tax time a breeze! All the reports are printable, so it makes it easy to share with your team. This app is a dream come true for the investors looking to take the reins on their financial freedom. In order to effectively manage your business, you need to know what needs to be handled now, and what can be put off till later. These productivity tools make it easy to track your own progress and stop you from getting bogged down with the little stuff. Track your progress and start working smarter, not harder! Afraid of losing your to-do list? Google keep is the Phoenix real estate investor dream app! This portable to-do list helps you keep track of ALL your projects! You can even have multiple properties to-dos organized. GoogleKeep has a super updateable note section, so draw, take photos, and more! You can even invite your team members to update so you will all know when things have been taken care of. Is your phone brimming with unread messages? It doesn’t have to be! With Cloze, you can merge your emails, calendars, social accounts, and to do lists. This awesome app is great for Phoenix real estate investors, as it keeps track of every contacts email, texts, and calls. The features in Cloze will also remind you to follow up with key contacts as well! So no deals or projects will fall behind! Dropbox is the app for sharing big files and photos, something that real estate investors do a lot! Store all your documents in folders, so you never lose important information on your Phoenix real estate deals. Dropbox also makes it easy to share with links, and you can invite people to edit. With the cloud storage you can access the files you need for your property, from your phone, laptop, or anywhere! Share before photos, loan documents and more! Dropbox is the file sharing app for Phoenix house flippers. What if you could look into the future and know what repairs are gonna make you the most money? That’s what these apps help Phoenix real estate investors do. Even though they aren’t crystal balls, you can predict your future profit more accurately than with other apps. These are perfect to use when you before you go all in on a property since you can track how much you can make! The ultimate team sharing app, for house flippers in Phoenix. Not only does it keep track of property value, and estimated ROI for your flips! Did we forget to mention that it can run Phoenix real estate reports, and make predictions on when you list your property? You can also share pdfs and spreadsheets in a matter of seconds! Take photos of properties for sale, and get info instantly. That’s why we love Home snap. It makes navigating deals, and finding property information fast! It cuts down all the legwork of finding vital property information. Being a student of the industry is how the top Phoenix real estate investors learn how to make the best deals to on the market. Make a habit of listening to podcasts, either daily or weekly, to learn more about local investors are making the best deals in the Phoenix real estate market. Social media is a great way to build connections and build your business. If you use it the right way, you can build a steady flow of new projects. If you don’t have a business page for your real estate investing you are letting deals walk right by. Increase your visibility in the Phoenix Real estate market by building a business page for your business. Having a business page makes it easy for people to share your information and get the word out there. 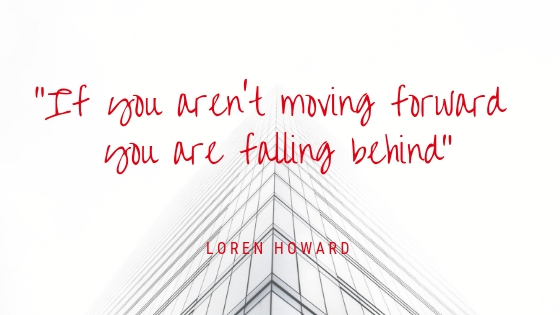 Promote your investments on your page, and be a part of groups to learn about the fastest moving deals, grow your network, and make more flips! The best social network for real estate professionals to build important connections. It’s also a great real estate education hub. With awesome groups and forums, you can learn and connect with tons of local real estate professionals. This is a great resource for learning about your local real estate market and hear the heartbeat of the Phoenix real estate investing community. 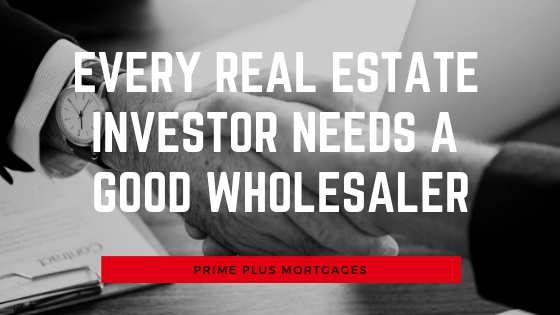 Every Phoenix real estate investor needs a great wholesaler in their network. Wholesalers find and contract properties to sell, ASAP. Cutting out the legwork for investors and finding them homes faster. Wholesalers have a whole arsenal of potential fix and flips, so you need to get on as many buyers list as possible! Not only do they have access to huge inventories of potential flips, but they also have lists of possible trustee sales or rental properties. Buyers lists are a great resource for anyone in the real estate community, as it helps build valuable connections of the movers and shakers of the industry! Once You Have Your Flip Flipped, you need to sell your home for as much as you can. In fact, houses sold with Phoenix realtors sell faster and for more than houses without. Realtors have access to hot markets, best schools, and more importantly, motivated buyers and sellers. Having a strong realtor in your network is a no-brainer. These top Phoenix real estate agencies have the best agents in the market. The MoJo Team with RealtyOne group. A great contractor is someone you absolutely need to have in your network, finding them can be tricky. These great resources making finding your handyman, and contractors ridiculously easy. You can easily see how they did on other projects, their BBB ratings, reviews and more. These tools make finding the contractors for your flip project a breeze. Angie’s List is a great resource for those trying to find a local contractor, with a great reputation. Use Angie’s list to find hard workers easy, with transparent ratings and reviews and photos from past jobs. You can also search by specialty so that you have the best contractors for whatever flip project you may have! Home advisor is great for real estate investors who want to hire a trustworthy contractor now. With great features like ProFinder and unfiltered reviews, you can hire a contractor with confidence. They also have a true cost guide, which is a great feature for Phoenix real estate investors on a budget. 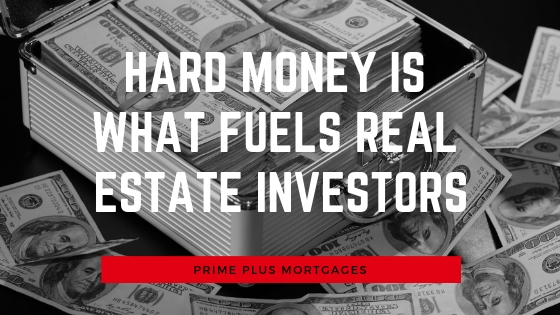 Hard Money lenders are vital for Phoenix Real estate Investors, as they offer quick funds for real estate projects. Using hard money loans is one of the most versatile tools real estate investors can use, as they won’t have to use their own funds to pay for any repairs out of pocket, and won’t risk their credit. These 3 popular hard money loans are the best resources for Phoenix real estate investors. Real estate investors use Home Rehab loans to upgrade properties before they flip or rent their investments. Home Rehabs are a type of hard money loan, meaning the loan value is determined by property worth. Home Rehab Loans are Ideal for investors because they can also be used to fund one-time large repairs. Roof repairs or a large kitchen remodel, can add tremendous value to a property, ensuring that your investment property sells or rents for as much as possible. Fix and flip loans are a great way to not only get started in real estate investing and flip your first house for profit! Hard money loans offer first-time investors the opportunity to start flipping without hurting their credit, and will offer guidance to flipping your house now! Fix and flip loans are a great way to finance your first flip, and finally, get started in house flipping. Fix and flip loans not only cover the purchase of a property but the repairs and upgrades that investors need to make! Bridge Loans in Phoenix are a very versatile loan, so almost any real estate investor can use one. In Phoenix, most investors use them to make fast offers on properties that they know won’t be sitting on the market long. Bridge loans in Phoenix are ideal for trustee sales, or even short sale properties. Bridge loans can even be used to stop foreclosures on properties and offer solutions to save investments. Prime plus mortgages offers hard money loans that are flexible, fast, and hassle-free. As real estate investors we understand the importance of getting funding when you need it, now. The hardest part of real estate investing shouldn’t be funding, so we simplified our application and approval process to take as little as 2 minutes. Prime Plus Mortgages has the fastest turnarounds, and can help you get funded within 2 days or less. Learn more about our hard money loans. Phoenix Real Estate Investors are always looking to up their game. Cromford Report: For Daily In Depth Real Estate Reports For Phoenix. Zillow: Top Real estate app and site for up to date reports, photos, listing and more. Trulia: Reports are simple to see, use and export and great for seeing listing activities, prices, and rents. Budget Boss: Make a budget and stick to it, and learn your real estate funding habits. Yodlee: Tons of tools to track your expenses and help keep you focused on your budget. Expensify: Huge time saver, that even lets you take photos of receipts and uploads the info into the app for you. Predicts future accounts to help you stay on track. Google Keep: Portable to-do list, that you can share with teams, manage multiple projects. Cloze: Never forget to follow up, with this app that merges your emails, calendars, social accounts, and to do lists. Dropbox: Easy to share before photos, loan documents, big files, and never misplace important files ever! Property Fixer: Perfect for sharing with a team, keep track of property value, and estimated ROI for your flips! Home-Snap: Take photos of properties for sale, and get info instantly. Podcasts: Learn best practices, see what the community is working on, and use others success stories to keep you motivated and focused on your goals. Facebook: Use groups to build your network and make more deals. Make sure you have a business page! BiggerPockets: The best social network for real estate professionals to build important connections. Realtors: Our Favorite Phoenix realtors will make listing and selling your flip easy. Wholesalers: Use our favorite buyers list to find the perfect fix and flip properties. Angies List: A great way to find contractors for your flip projects that are reputable and do great work. Home Advisor: Profinder helps you find the best local contractors, and true cost guide is a major money saver. Hard Money Lenders: Hard Money lenders In Phoenix make it easy to buy, flip, and sell your investments fast! Learn more about our Favorites here! 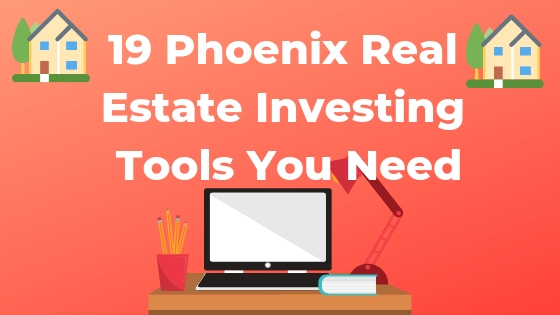 Use these tools and make 2019 YOUR year for Phoenix real estate investing. Did we miss your favorite Phoenix real estate investing tool?